Andy Karl is coming back to Broadway! Andy Karl is coming back to Broadway! Andy Karl is coming back to Broadway! 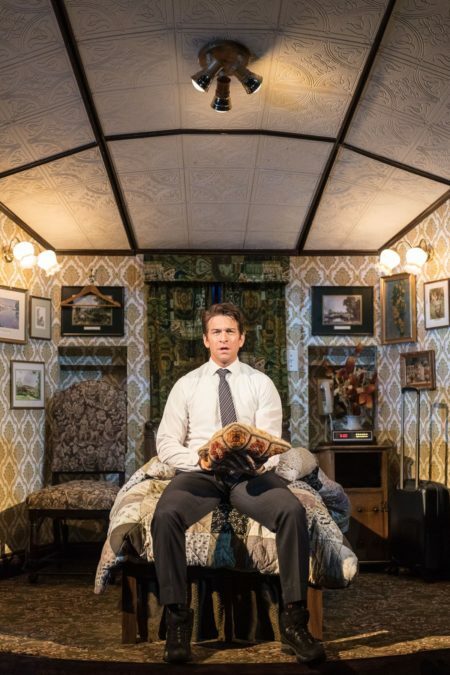 After London critics and audiences repeatedly fell for the two-time Tony nominee as he headlined Groundhog Day at the Old Vic, it is now confirmed that Karl will lead the production when it lands at the August Wilson Theatre. The previously reported much-buzzed about stage adaptation of the 1993 film is set to begin previews on March 16, 2017 and officially open on April 17 at the venue. Karl received Tony nods for his two most recent Broadway performances: On the Twentieth Century and Rocky. His additional Main Stem credits include The Mystery of Edwin Drood, Jersey Boys, 9 to 5, Legally Blonde and Wicked. He recently appeared on Law & Order: SVU as Sergeant Mike Dodds, playing son to his former On the Twentieth Century co-star Peter Gallagher. Directed by Matthew Warchus, the musical features a score by Matilda scribe Tim Minchin and a book by Danny Rubin (who co-wrote the original film). No word yet on further casting; Karl played Phil in London opposite Carlyss Peer as Rita. Groundhog Day follows TV weather man Phil (played by Bill Murray in the film), who reluctantly goes to cover the story of Punxsutawney Phil for the third year in a row. Making no effort to hide his frustration, he covers the story and moves on, expecting his job to be finished. However, he awakes the "following" day and discovers that it's Groundhog Day again, and the fun happens again and again and again. He soon realizes he must take advantage of it in order to secure the love of a coworker. Jersey Boys is scheduled to close at the August Wilson on January 15, 2017.